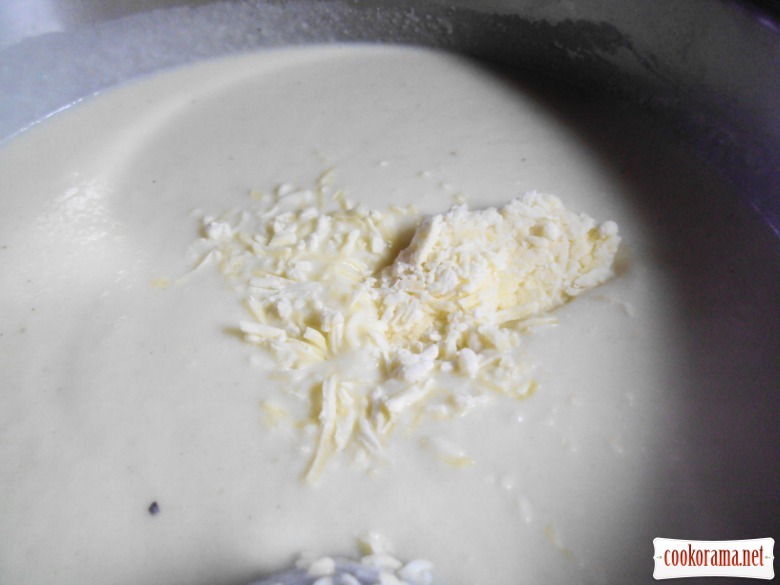 Delicate, creamy, really, «velvet» soup. Delight to the stomach. And benefit for the whole organism. 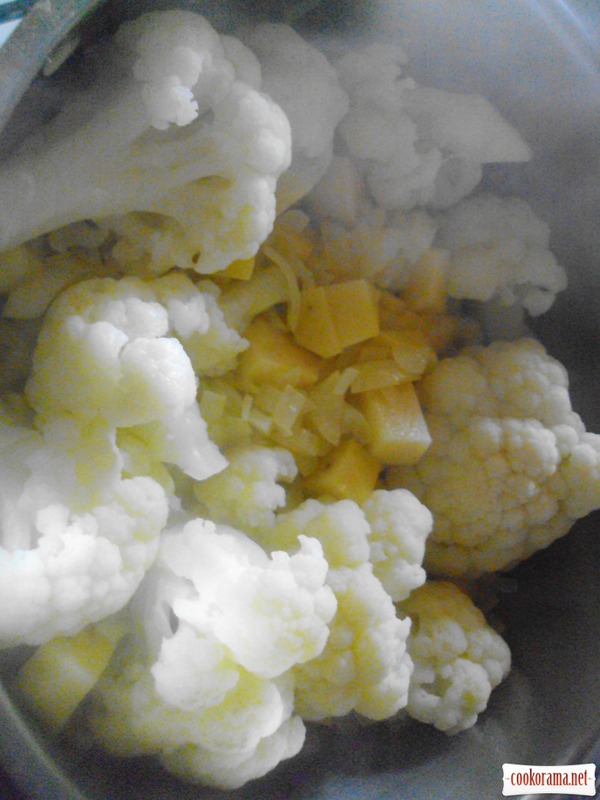 Disassemble cauliflower into florets, wash it and cook in boiling, salted water for 10 minutes. Heat olive oil and butter. Sauté diced onion, and garlic on the low heat till transparency. 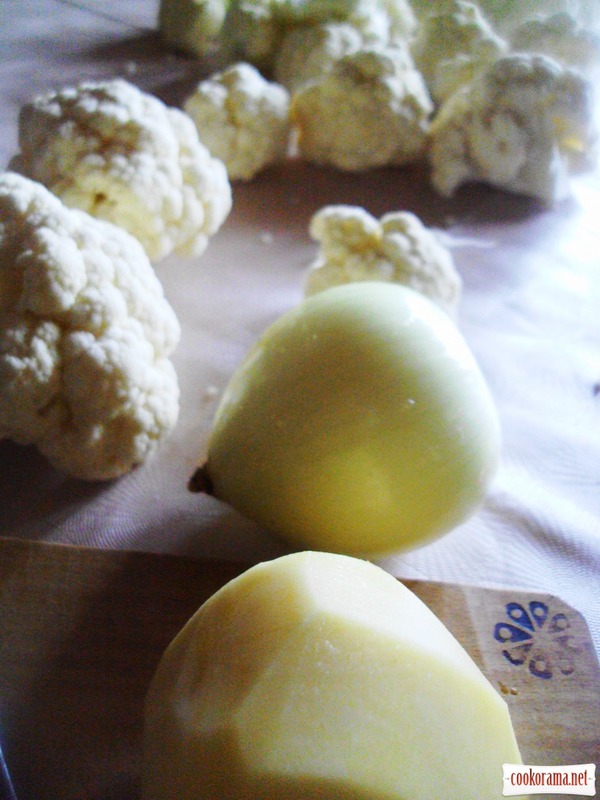 Add diced potatoes (exactly they gives the soup a «velvet „), and cauliflower. 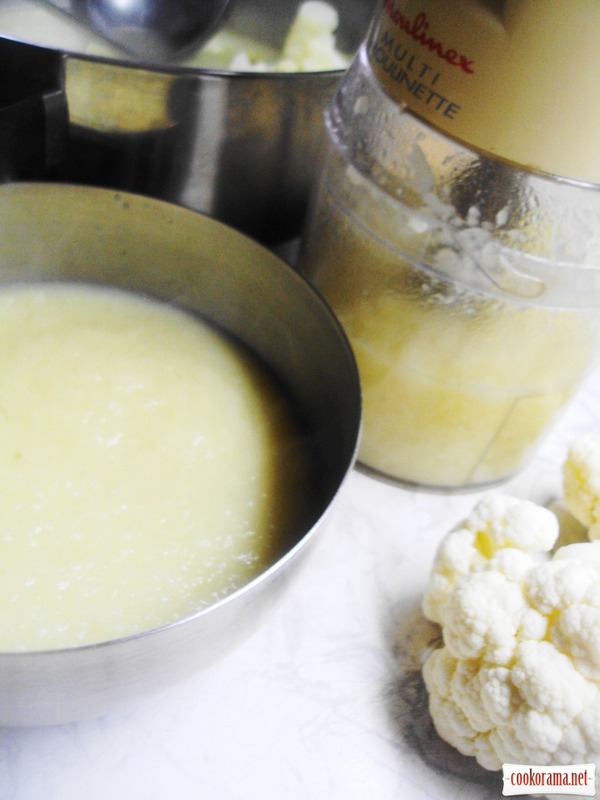 “Stew» for 5-7 minutes and add the hot cauliflower broth (it should cover the vegetables). Cook till readiness of vegetables for 10-12 min. 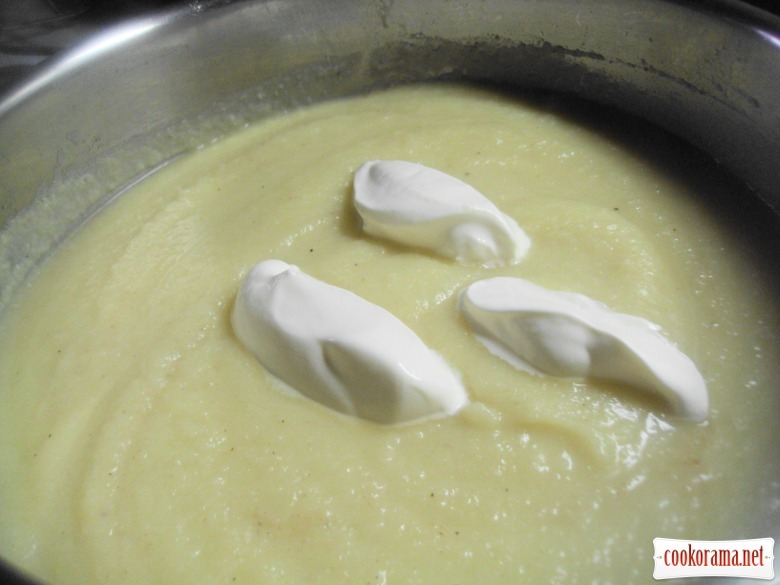 Mix soup into puree in blender. Pour it back in the saucepan. Add salt, pepper and grated nutmeg. Add sour cream. Put saucepan on the stove and constantly stirring, wait till boiling. DO NOT BOIL, as cream will curdle. Add grated cheese. Mix it. 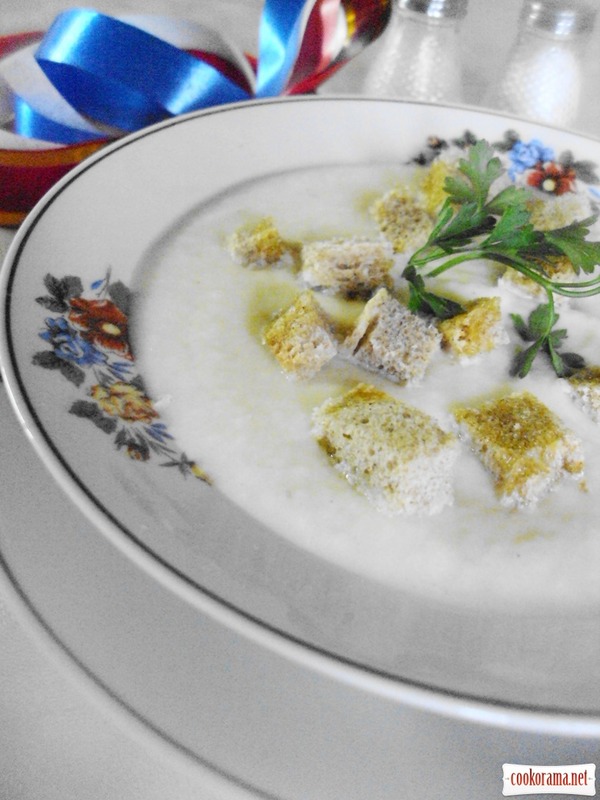 Serve soup with croutons (I sprinkled with olive oil diced bread and dried it in the oven). 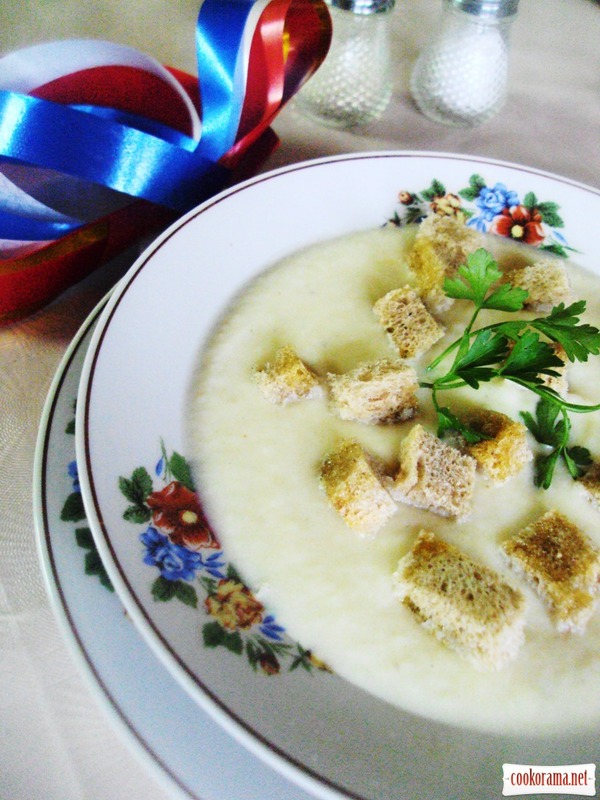 Top of recipe "Veloute soup with cauliflower"
Мне фото показались такими весенними… А до весны еще так далеко… Красиво и вкусно! Света, радует то, что каждый прожитый день нас приближает к весне. Лариса, я так люблю ці усі супи-пюре Супер! Я теж, Леся, iх полюбляю. Дяки!!! Какой изысканный суп!!! Очень нравятся супы-пюре, а фото какое!